In a ballsy move the Hampton's International Film Festival counter programmed itself dead in the middle of the New York Film Festival. On top of that it's showing several of the same films as well as programming a number of titles that many in the critical community felt should have been at New York. What this means is that this is the year that the Hampton's Film Festival over took the New York Film Festival for excitement level. 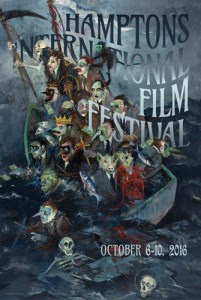 I'm not sure that this will remain the case- New York is after all New York, but in talking to people at the press screenings for the big festival Hampton's is more the place people actually want to be with the films that many wanted to see and thought would be at NYFF (LA LA LAND, RED TURTLE, HANDMAIDEN, LION, LOVING). The Hampton's is a great looking festival and if you can go I suggest to make a trip out to the end of the Island. I’m hoping to get out there, but I’m not sure I will be able to get out there because of counter programming, concerts and NYFF screenings. I’m still trying to work out how to get from the RED TURTLE screening on Monday the 10th and make a 6pm screening in Manhattan. 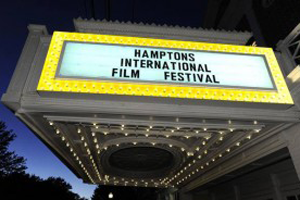 Tickets and more information for the Hamptons Film Festival can be found here.